Wheel Accessories USA takes pride in delivering service that will Exceed Your Expectations. Over 90% of our orders are shipped same day and our average delivery time is less than a week using Federal Express Ground service, which is our preferred shipping method. 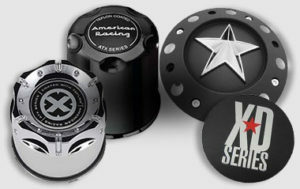 Wheel Accessories USA specializes in center caps. We have designed our web site to help make sure you are ordering the correct item. We have over 25 years of experience in the custom wheel industry and we use this experience to make sure you receive the correct product. Please read all options listed for each item, we are in the business of selling caps; if an optional cap is available we will list that item. Please Contact Us before ordering a cap for a “Test Fit” we have CAD files for most wheels and we can do a “Virtual Test Fit” for you. Again we want to sell you a cap, but only if we know you will be happy with your purchase.